ONE person has been injured after cops opened fire on a man who ‘threatened them with a gun’ outside a German hospital. Officers now cordoned off the area after the incident in Berlin’s Kreuzberg district. Police confirmed they fired a single shot, injuring one person. Local media reports claim it was a man who was struck in the leg after threatening officers with a gun. The man is said to have ignored repeated warnings to drop his weapon and surrender, prompting cops to open fire. Ten people have been arrested in connection with a terrorist attack on a kosher store in Paris where a gunman shot dead hostages. 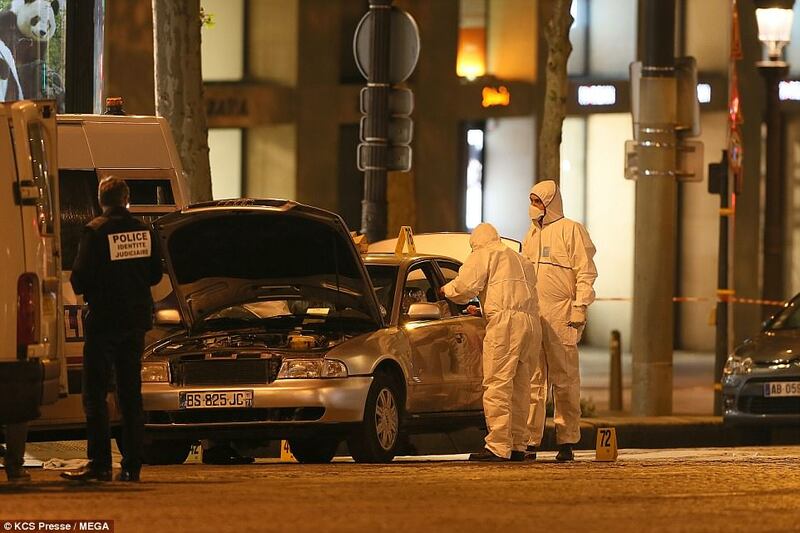 Paris prosecutors said the suspects had been detained on suspicion of supplying weapons to Amedy Coulibaly. He shot dead four hostages at the Hypercacher supermarket in Porte de Vincennes, in eastern Paris, and a woman police officer in another incident before he was killed in a shootout with police. 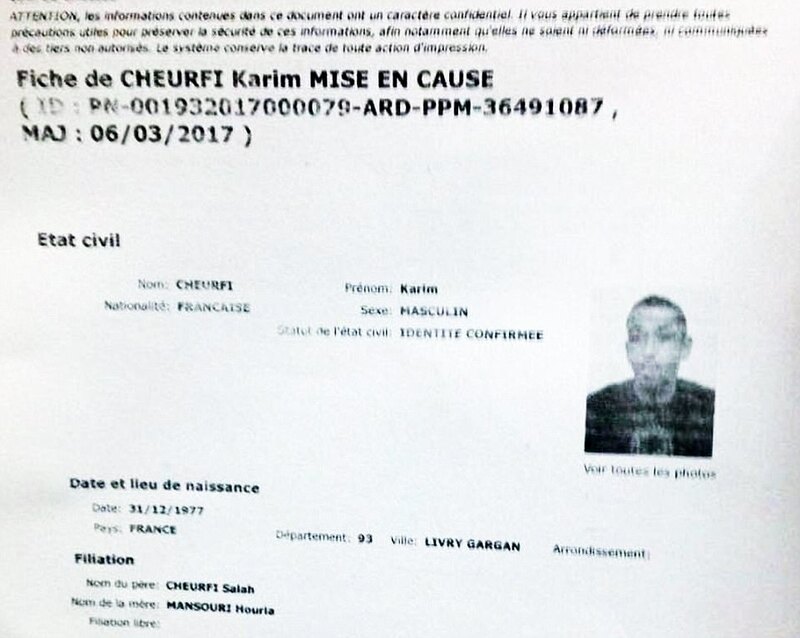 The 9 January 2015 attack took place two days after brothers Cherif and Said Kouachi shot dead 12 people at satirical magazine Charlie Hebdo's offices in the French capital. Most of those murdered were journalists and cartoonists. The pair went on the run after the massacre and were found hiding in a warehouse in Dammartin-en-Goele, 18 miles northeast of Paris, with a 26-year-old male hostage. They came out firing and were shot dead by special forces officers, while the hostage was freed. All three attackers knew each other, and Coulibaly had threatened to kill his hostages if police moved in on the brothers at the warehouse. Commandos stormed the supermarket minutes after the Kouachi brothers' stand-off was brought to a violent end. Prosecutors said the arrests took place on Monday and Tuesday into Wednesday. The suspects are being questioned by police investigating the two attacks. Detectives are reportedly looking into possible links between the attacks and suspects in Belgium. Shortly after the attacks, Belgian authorities detained a person for arms dealing and said they were investigating whether he had supplied Coulibaly with weapons to carry out his shootings. Police are searching two addresses in London after a man was arrested yards from Downing Street on suspicion of planning a terrorist attack. The man, who was carrying a rucksack containing knives, is being questioned after he was detained by armed officers in a swoop in Whitehall. The 27-year-old suspect was known to police prior to his arrest, according to Sky sources. Investigators said he was held on Thursday afternoon following a stop and search as part of an ongoing operation. 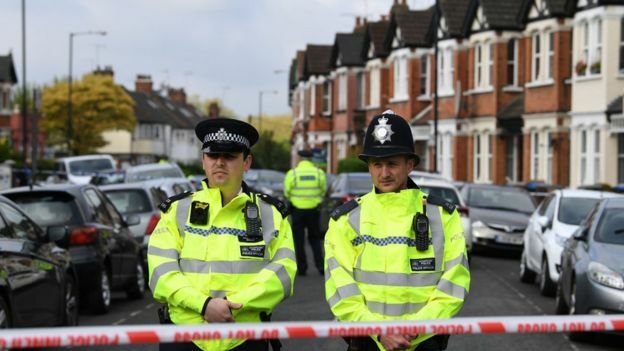 His arrest was said to be unconnected to an anti-terror operation in northwest London and Kent, in which a woman was shot by police and four people were arrested. The circumstances of the Whitehall arrest would suggest the suspect may have been under some form of surveillance before he was detained. Police have described the operation as "intelligence-led" and reports have suggested security services were tipped off by members of his Muslim family. Met Police deputy assistant commissioner Neil Basu gave an update on the investigation on Friday morning. He said: "In Whitehall, a 27-year-old man was arrested by armed officers from the Met's Specialist Firearms Command, who stopped and searched him as part of an ongoing counter terrorism investigation. "He remains in our custody having been arrested for Terrorism Act Offences and possession of offensive weapons and there are two ongoing searches at addresses in London as part of that investigation. 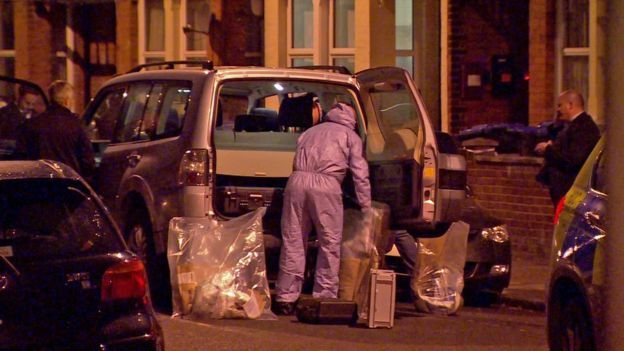 Images from the scene showed three knives on the ground close to a brown rucksack, and an officer in forensic overalls could be seen taking photographs of the weapons. The bearded suspect was taken to a south London police station where he is being held under the Terrorism Act. Prime Minister Theresa May was not at Number 10 at the time of Thursday's incident. The suspect, believed to be from London, was wrestled to the ground on a traffic island by police. He was handcuffed, with his arms behind his back, and one of his hands appeared to be wrapped up in a bandage as four officers stood next to him. A builder working on the road nearby said: "I saw the police officers catch him. They caught him and got him on the ground." Asked if the suspect was waving knives, acting aggressively or shouting, the witness said: "No." Another witness said the suspect was "very calm" as he was arrested, and did not struggle as he was held on the ground. The woman, in her 20s, was one of the subjects of the investigation and is in a serious but stable condition. A raid also took place in Kent, with six people arrested in total. Officers say the operation was not connected to an arrest near Parliament on Thursday, when a man was detained on suspicion of terror offences. 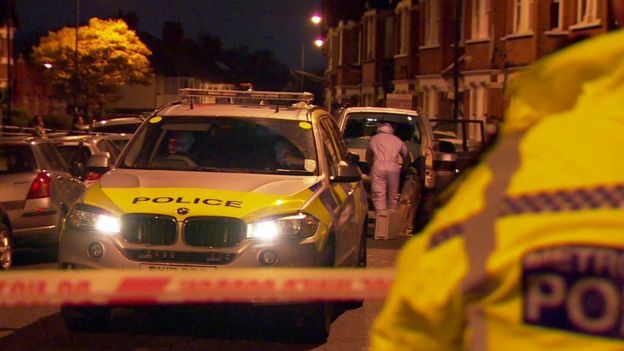 Police said the house in Harlesden Road, Willesden, had been under observation. At about 19:00 BST on Thursday, firearm officers entered the property. CS gas was sprayed and a woman was shot. London terror alert: How serious is it? A 16-year-old boy, and a man and woman, both aged 20, were arrested. A 43-year-old woman was arrested in Kent. 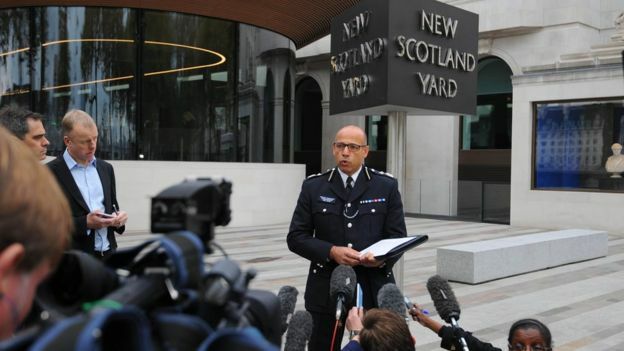 Deputy assistant commissioner of the Metropolitan Police Neil Basu said: "Due to these arrests that have been made yesterday, in both cases I believe that we have contained the threats that they pose." When asked by reporters whether police had foiled an active terror plot, Mr Basu replied: "Yes." He added: "There are constant acts of immense bravery by officers, armed and unarmed - those that the public see, where our officers run towards danger just as you saw yesterday, but a huge amount of unseen work that the public will never see behind the scenes." The Met said the suspects were arrested on suspicion of the commission, preparation and instigation of terrorist acts. They are in custody at a south London police station. Alex Paton, 50, who lives in Harlesden Road said he saw a woman "getting all cuffed up and put in a white suit". He described seeing "coppers and masked men with guns and there was a guy running down the road with a gas mask and a machine gun". Another person who lives in the area said she heard "bang, bang, bang" before she went out to go shopping. She described the people who lived at the raided house as a "standard Muslim couple". Another neighbour said the woman had injuries to her left arm and the left side of her stomach. He said the family who lived at the house were from Somalia. Ruth Haile, who lives in the road, says she heard shots and the woman on the ground shouting "Don't touch me, my body, don't touch my dress". A police spokesman said the woman who was shot was taken to hospital by ambulance. "Due to her condition, she has not been arrested at this time and remains under police guard at hospital," he said. It is believed to be the first time a woman has been shot by police in ten years. The last time was in 2007 when Ann Sanderson was fatally shot in Kent. Police said searches took place at "linked addresses", as well as where the arrests took place. The incident has been referred to the Independent Police Complaints Commission and the Met's Directorate of Professional Standards, as is procedure. The IPCC said they were gathering evidence but that no officers were under investigation. A video been taken at the moment of shooting has been posted on social media. It shows armed police surrounding a terraced house as five shots rang out. On Thursday, police arrested a 27-year-old man at the junction of Parliament Street and Parliament Square as part of an intelligence-led operation. The Met said he was detained on suspicion of terrorism offences and that knives were recovered from the scene. 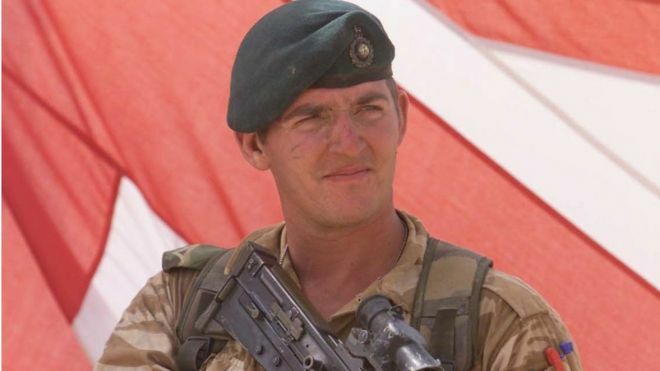 The Royal Marine jailed for shooting dead a wounded Taliban fighter has been released from prison. Sgt Alexander Blackman received a life term in 2013 for murder, but his conviction was reduced to manslaughter. The 42-year-old from Taunton, Somerset, served more than three years of a seven-year sentence. Judges at the Court Martial Appeal Court were told he had a recognised mental illness at the time of the killing in September 2011. Blackman - who was known as Marine A during the original trial process and fully identified when he was convicted - was serving his sentence at Erlestoke Prison, near Devizes, Wiltshire. He was released at 00:18 BST. His original murder conviction was quashed in March. The appeal hearing came after his wife Claire led a campaign alongside author Frederick Forsyth and the Daily Mail newspaper. The Royal Marine's barrister, Jonathan Goldberg, said he had been approached about making a film about Blackman's story. "The case is controversial - this is obviously why Hollywood want to make a film about it," he said. His supporters had hoped the quashing of the murder conviction would lead to his reinstatement in the Royal Marines. However, the judges at the appeal hearing said his dismissal from the service should remain. A Russian military adviser was killed in Syria, according to a statement by the Russian Defense Ministry. Maj. Sergey Bordov was killed when the Syrian army unit he was advising was attacked by "militants," the ministry said. It did not say whether the fighters were members of the Islamic State or one of the various factions fighting against Syrian President Bashar al-Assad, a Russian ally. "During the militants' attack, the Russian officer directed the actions of the Syrian soldiers, thus successfully preventing the terrorists from breaching the defenses and entering the camp," the ministry said in a statement. It added that "in the course of the fighting, the officer sustained fatal injuries." The Russian and Syrian governments generally refer to all of the disparate groups fighting against Assad as "terrorists" whether they are affiliated with the Islamic State or not. TASS reported the defense ministry disputed media reports two other Russian service members were killed in fighting in Syria. Dramatic footage captured the moment French police chased and shot at the gunman, who later died. His ID was found in the Audi he was driving, which confirmed he was known to security services for a number of recent offences and had been flagged as 'an extremist'. Officers have been searching the home of the alleged shooter in east Paris. He had been detained last month after it emerged he was trying to buy weapons 'to kill police', but was released due to lack of evidence. 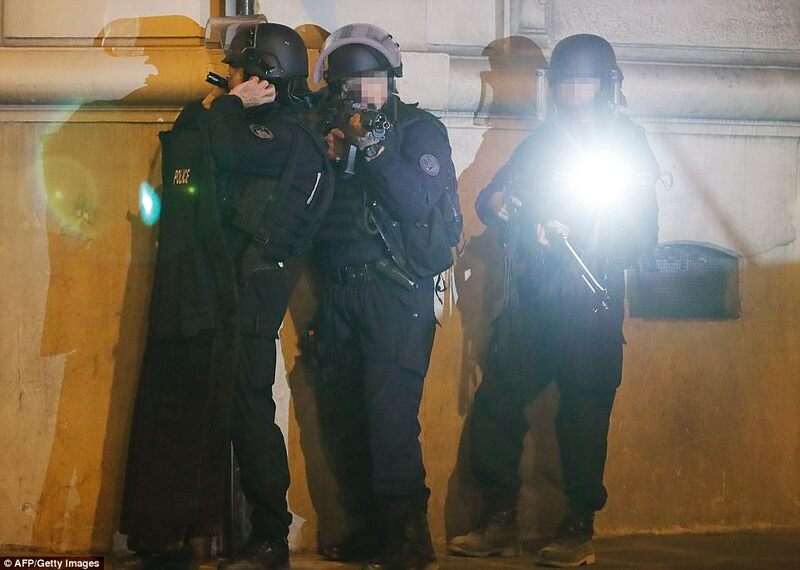 A French government spokesman said the ISIS gunman began firing against police using 'a weapon of war'. Police have now launched a desperate manhunt for a second suspect, who travelled by train to France from Belgium. The fatal incident unfolded as presidential candidates, including National Front party leader Marine Le Pen, debated on a TV show nearby before Sunday's election. Karim Cheurfi used the alias 'Abu Yousuf the Belgian', and reportedly made threats to kill police using the social media app Telegram, an instant messaging service. He was born in France and lived in Chelles, a commuter town close to Paris and was jailed for 20 years for shooting at police in 2001, after being caught in a stolen car. But it is believed that he was released early in 2016. The gunman has been identified by police but they will not officially reveal his name until investigators determine whether he had accomplices, according to the Paris prosecutor. Prosecutor Francois Molins said: 'The identity of the attacker is known and has been checked. I will not give it because investigations with raids are ongoing. The Interior Ministry spokesman said the officers were deliberately targeted and the police union added that the policeman was killed while sat in a car at a red light. ISIS claimed responsibility for the attack and dramatic video footage showed the immediate aftermath of the incident which left one policeman dead. 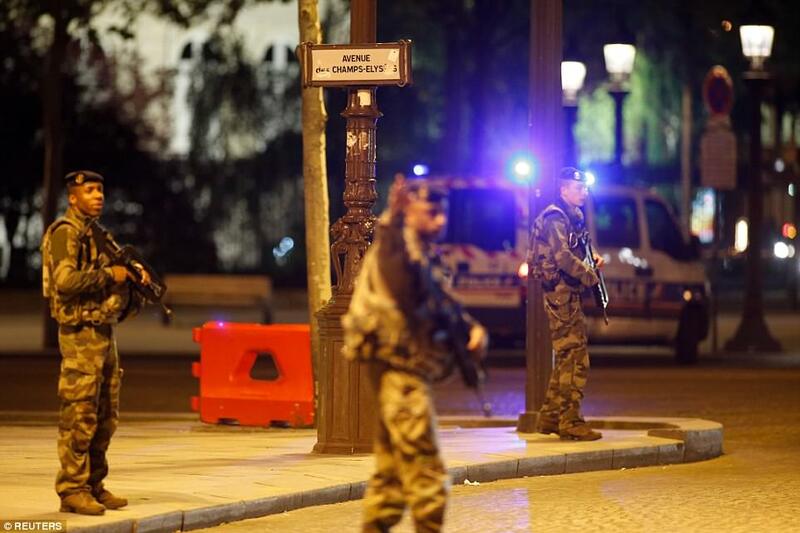 In the video, posted on Twitter, several figures can be seen moving around next to a police van on the Champs Elysees. 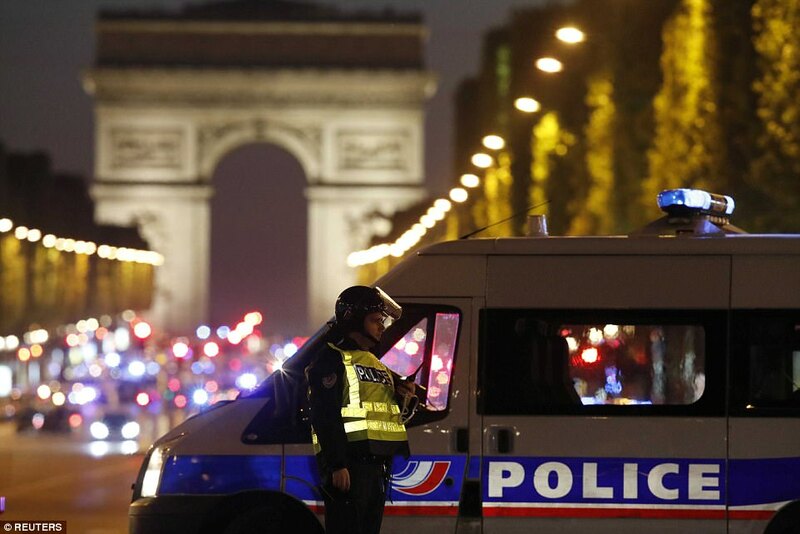 Pierre-Henry Brandet, spokesman for the French Interior Ministry, confirmed that both injured officers in hospital were now 'out of danger' and 'stable', while the female tourist was far less badly hurt. Mr Brandet did not name any of the victims, but praised the officers for 'helping to avoid a bloodbath' by 'neutralising' the attacker as quickly as possible. 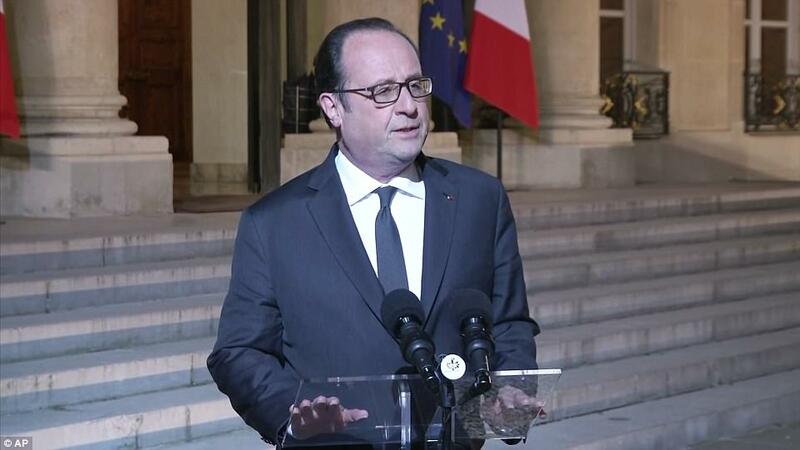 Mr Hollande said a national tribute will be paid to the policeman and added that a 'passerby was hit' before the 'assailant was neutralised'. Conservative contender Francois Fillon, who has campaigned against 'Islamic totalitarianism,' said on France 2 television that he was canceling his planned campaign stops Friday. Far-right candidate Marine Le Pen, who campaigns against immigration and Islamic fundamentalism, took to Twitter to offer her sympathy for law enforcement officers 'once again targeted.' She canceled a minor campaign stop, but scheduled another. Socialist Benoit Hamon tweeted his 'full support' to police against terrorism. Presidential candidates Marine Le Pen and Francois Fillon announced that they have both cancelled their campaigning on Friday. Mr Brandet, spokesman for France's Interior Ministry, confirmed that one police officer was dead and two were seriously wounded following the 'targeted attack'. Shortly after the attack Brandet described what was believed to have happened. He said a 'car pulled up just after 9pm' next to a police patrol car which was parked up on the busy avenue. A man jumped out with a Kalashnikov and started firing indiscriminately into the police vehicle and hit the unidentified officer who died. The assailant then ran off, pursued by other officers in the vicinity. Two of them were wounded as they killed him. 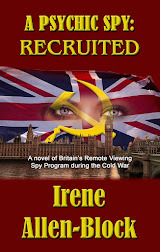 Mr Brandet said 'all lines of investigation were being pursued', while intelligence sources said the dead assailant was a known radical on a so-called S-file, for 'State-security'. This means he would have been under surveillance, because he was a known risk to the country. An eyewitness, called Chelloug, said: 'It was a terrorist. He came out with a Kalashnikov and started shooting, but he could've shot us on the pavement and killed more people with a spray of shots. Another witness said: 'I saw someone shoot at the police officers. They returned fire, they killed him, he fell on the floor. And then the emergency services came. 'It took place by Zara and there was a CRS (Republican Security Companies) van parked up and the man shot the police officers. He took out a weapon and shot them. The attack comes just three days before the first round of balloting in France's tense presidential election. A witness, identified only as Ines, told BFM that she heard a shooting, saw a man's body on the ground and the area was quickly evacuated by police. It comes just two days after police arrested two men in southern Marseille with weapons and explosives who were suspected of preparing an attack to disrupt the first-round of the presidential election on Sunday. 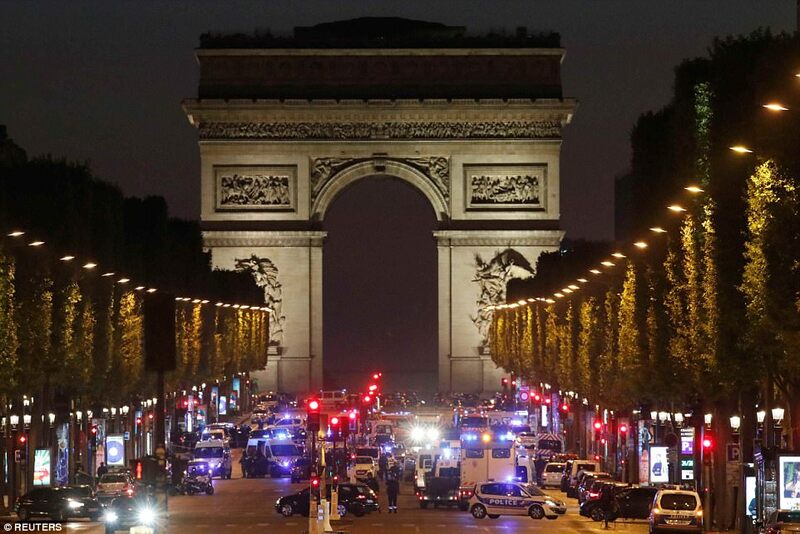 French soldiers secure the Champs Elysees Avenue after a police officer was killed when a gunman opened fire in Paris.